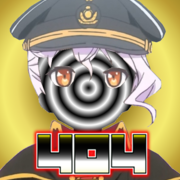 I formed -404- for the meme that is my name. Selfish reason, but truthfully it brightens peoples days looking at the player list, and seeing this single name -404- Captain not found. Getting shouted out in chat with either a great name 404 or a lol 404 in chat. While it may not seem like much i'd like to think it makes a difference in peoples day. That is what I am. Player based Meme that makes people smile or laugh. What I want -404- to be? I want -404- to be a recognized clan to people. One that makes a difference to player and people alike. Whether that be through charity or taking a new player under us on the reddit discord or any discord for that matter. I don't want to make -404- itself great. I want to make the community around us great, and by extension us. I would love to sit in a match and get salutes from OPG, TASH, or other big names out there in the community. By building a better player base we can present an actual challenge to Unicums and like above them, but this will also improve the player experience of the less skilled players. I understand that some people are just bad, but this doesn't have to be a permanent problem. With a little guidance anyone can become a better player. We offer a casual environment. Where you can rage in quite on your own time.We don't want to be associated with a vocal minority who says this game is broken or yells at opposing player for being hackers. I don't want a completely casual environment however. Competitive play is good too. I don't want to sound like an elitist. But the upper echelon of the player base is there for a reason. whether by dumb luck, skill, or just an advanced understanding of mechanics. By playing competitively it allows us to stay humble to our skills and acknowledge our weaknesses. This will allow us to improve not just as a clan but a community. Feel free to play with your friends regardless of Clan. What I'm looking for in a new member? Stats must not be concealed. Instead of spamming new recruitment threads repeatedly you could just bump a existing one. it did. Cause i typed it. I knew i should of hired that proof-reader. You can't delete threads, only mods can.